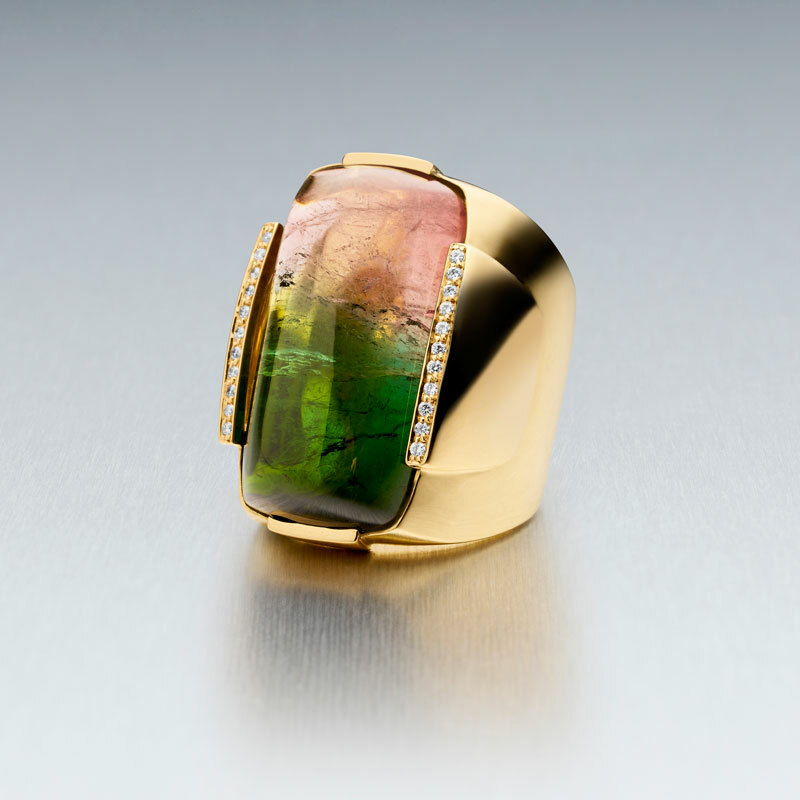 Since 1998, Ben Bunda has worked from his Sydney Studios in The Queen Victoria Building, The Hilton Sydney and Park Hyatt Sydney to create a unique collection of fine jewels. As Chinese New year approaches on Monday February 8th 2016, Bunda will once again unveil his collection titled “The Eight Treasures of Chinese New year.” The 8 standalone pieces are made of irreplaceable stones and the number 8 evokes the Chinese New Year ceremony of the Eight Treasures Pudding. 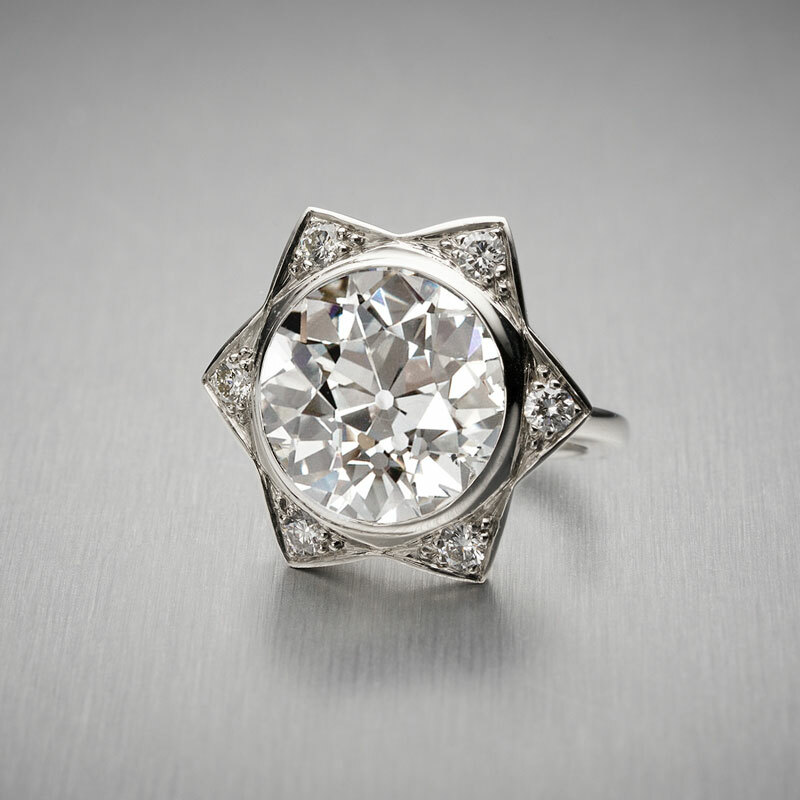 Eternal Light consists of a blazing BUNDA Star ring. 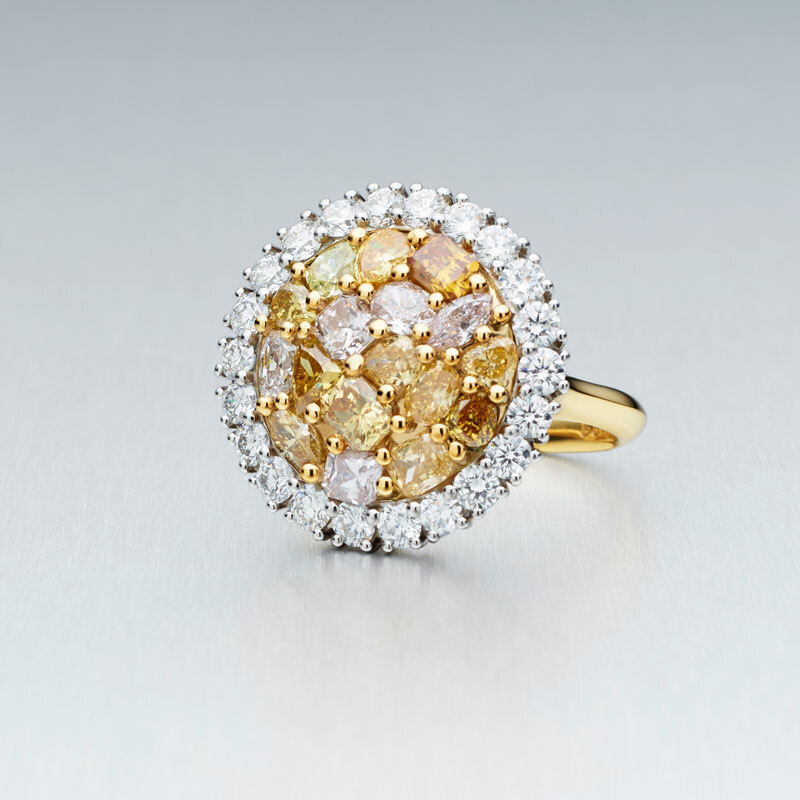 Its got an air of antiquity with an eighteenth century Old European Cut round diamond weighing 7.18ct. Sweet Harmony ring is sure to get your romantic juices flowing. It’s just like what the name suggests, the joining of two hearts. 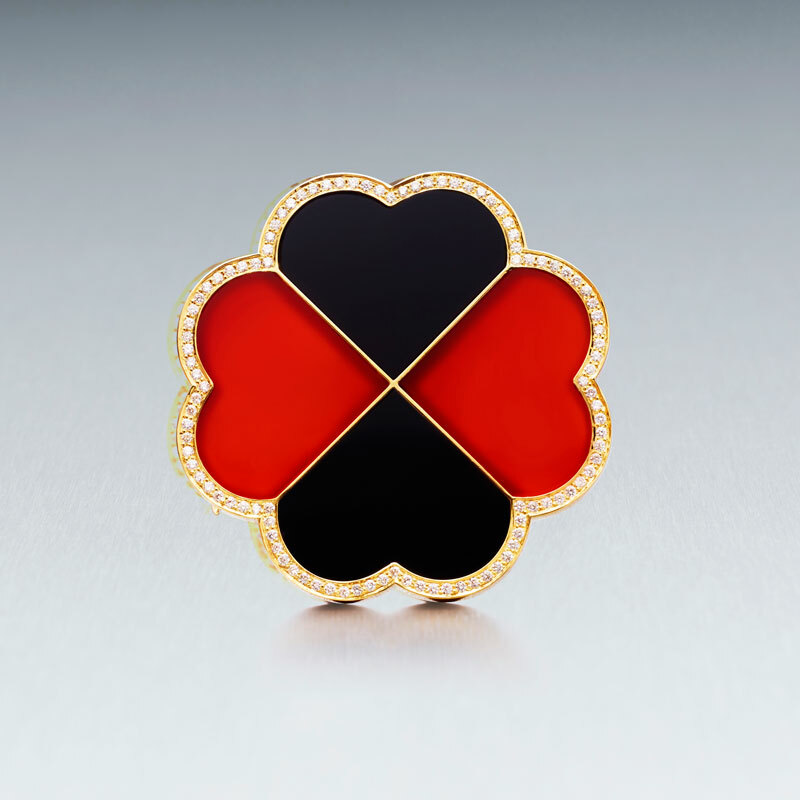 Carnelian (a red colour) and black onyx make up the two alternating hearts, intersected with gold and thread set diamonds. Stars and constellations and all things galactic has been a source of inspiration for Ben Bunda for some time. His ring titled Peace brings together a kaleidoscope of colours from diamonds of different cuts, seamlessly unified in a yellow gold dome. The edge is exquisitely designed from some gleaming white diamonds, set in platinum. Enduring Love is a show stopping ring, showing two intersecting bars. Two lines of diamonds at the back support the stone. It’s from watermelon tourmaline that displays three different colours in the same crystal – green (the skin of the watermelon), pink (the sweet fruit) and white (the rind). The colours are naturally produced and the cabochon gemstone is shaped and polished. It’s 40ct and is definitely a keepsake item! 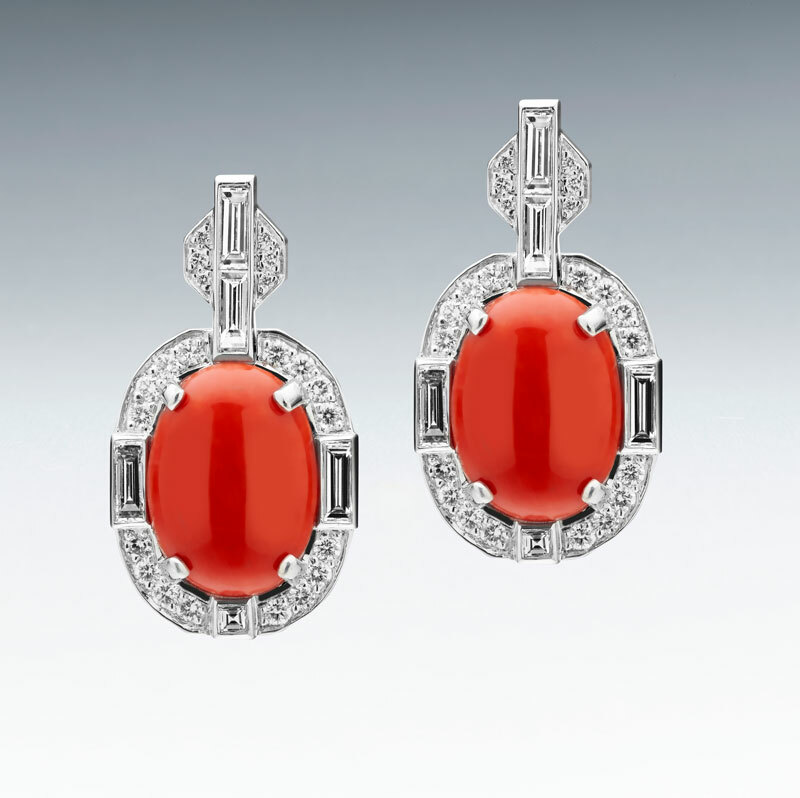 Far throughout the Asian region, coral is seen as a symbol of devotion and spiritual purity. Strength and Unity is the name given to a pair of custom cut baguette diamonds. Demand for precious coral is driving prices to $2,000 per gram. The couture style earrings showcase the natural beauty of Coral and Bundas love of natural materials for his collection. The coral is a deep glowing red and the opulence of a rich deep hue. It’s set in platinum, with round brilliant cut diamonds. 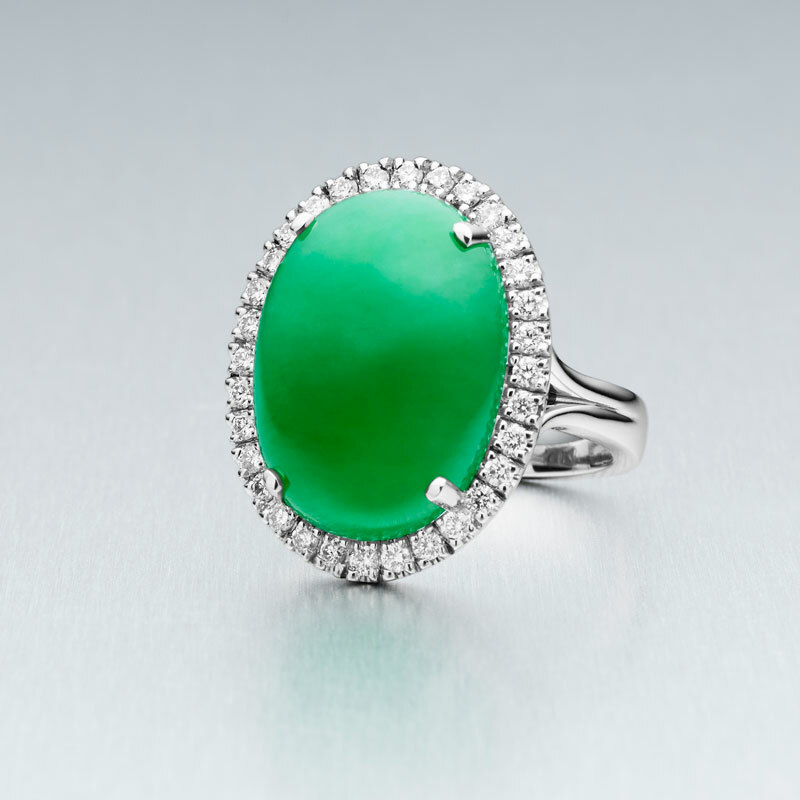 Jade is the green symbol for wellbeing, dreams, healing and wisdom gathered in tranquility. Good Fortune is a ring that combines antiquity, a proud spirit or remembering its Chinese historical roots. This compelling ring from BUNDA’s Valentin collection presents an antique stone of brilliant natural colour and incredible lustre. A gorgeous valentin pendant necklace titled Sweet Inspiration is a knockout, sure to turn heads with its pendant which combines light and darker colours. 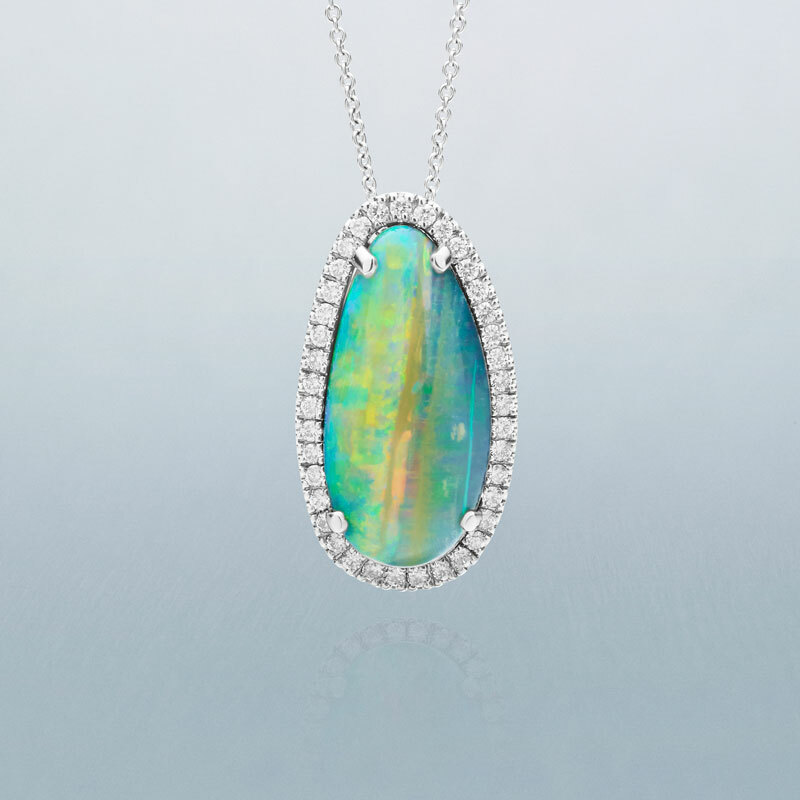 It has the palette of a lighter opal, contrasted with the stark black opal. The yellow diamond Alcazar (castle in Spanish) ring titled Prosperity and Power is all about climbing the ladders of success. 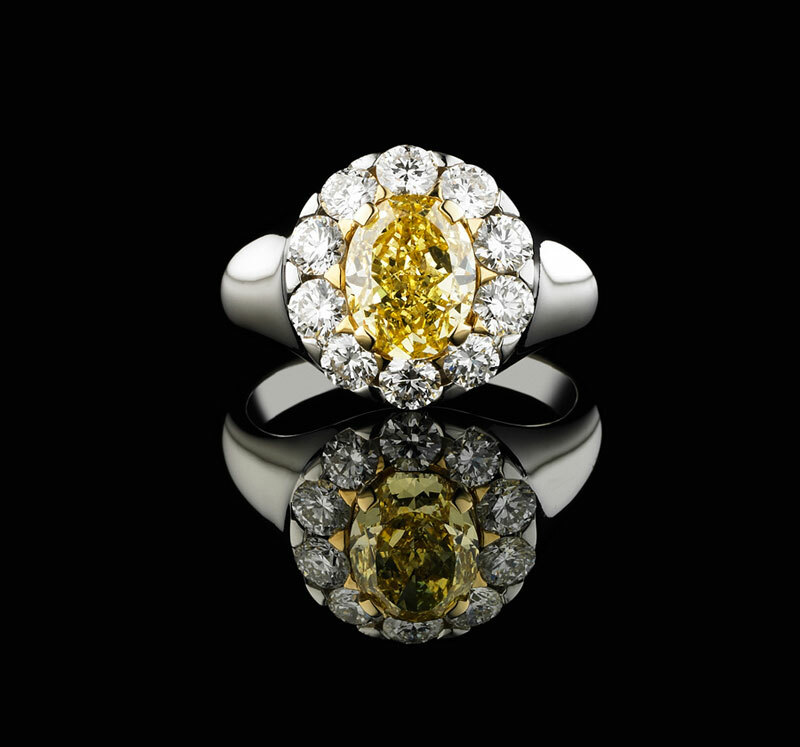 It consists of an oval yellow diamond in yellow gold claws, and a platinum setting. A cluster of white diamonds are set throughout the fringes of the ring. The shape of the ring is in the style of a signet, often worn by aristocrats throughout the 1950s.